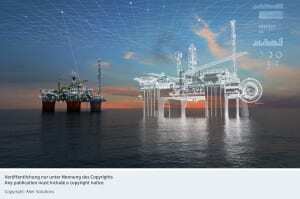 Aker Solutions (Fornebu, Norway; www.akersolutions.com) and Siemens AG (Munich and Berlin, Germany; www.siemens.com) have signed a strategic collaboration agreement to further develop digital offerings in engineering, operations and services. The collaboration focuses on the creation of software applications and joint service offerings including the development of industrial digital twins that will drive efficiency throughout the entire plant lifecycle. In addition, the companies will further develop specific offerings for the oil and gas sector based on Siemens' Comos engineering platform. These solutions will help customers to reduce engineering and operational cost and enable improved decision making. The agreement builds on a long- standing, successful relationship between both companies by combining individual strengths and promoting joint offerings. "We are excited to strengthen our existing relationship with Siemens", says Dean Watson, Aker Solutions' chief operating officer. "By working together to develop and deploy advanced digital solutions, we will allow our customers to liberate data and solve important engineering challenges. 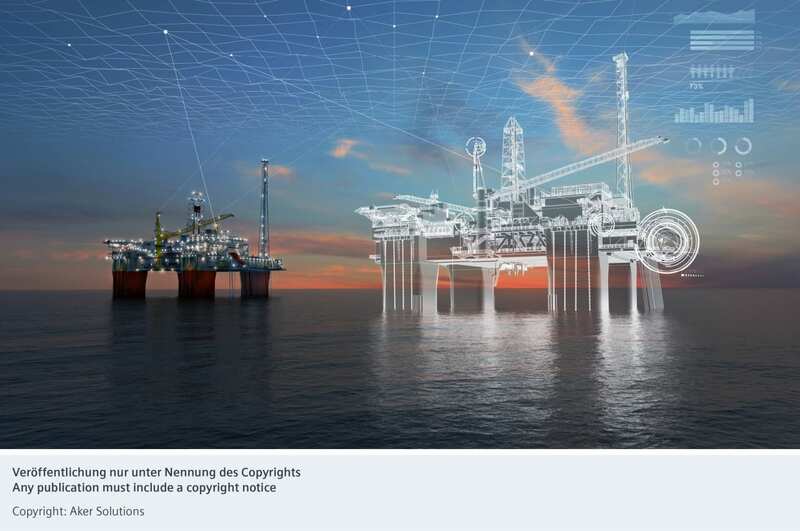 Within the energy industry - and beyond - digital twin solutions are providing increased insight which in turn enables better performance, maintenance and investment decisions. We look forward to working with a trusted partner like Siemens to further enhance these offerings". Eckard Eberle, CEO Process Automation Business Unit, at Siemens adds "With this collaboration we are combining Aker Solutions' strong knowledge in upstream oil and gas projects as well as its domain-specific digitalization offerings with Siemens' extensive knowledge in the field of electrification, automation and digitalization. Customers across a broad range of industries, including the oil and gas industry will benefit from an enhanced joint offering that will increase their productivity, efficiency and flexibility." Aker Solutions and Siemens have signed a strategic collaboration agreement to further develop digital offerings in engineering, operations and services.